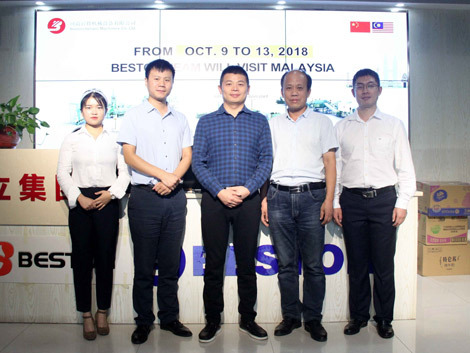 From October 9 to October 14, Beston Machinery will visit the Malaysia customers. This time, Beston Team, including General Manager, Engineer and sales representatives will fly to Kota Kinabalu, Malaysia. For this business trip, we will arrange meeting time for clients who are interested in waste plastic/tire pyrolysis plant, charcoal production line, municipal solid waste sorting plant and egg tray making machine. During visiting time, you will enjoy big discount if you place an order. Are you ready, contact us now! Beston Machinery, founded in 1998, has been focused on manufacturing waste processing and recycling machines for 20 years. Now, we mainly have four types of machines for sale. Plastic pyrolysis machine for sale – that can dispose of waste tire, waste plastic into fuel oil and carbon black. 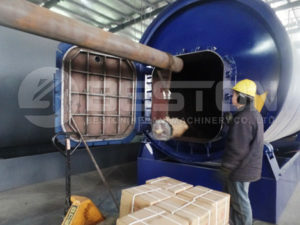 Charcoal making machine: it can process the wood, coconut shell, palm kernel shell, rice husk, straw, sawdust, sugarcane bagasse, etc into bio-char. Waste sorting plant: waste sorting equipment can pick out organic, plastics, metal, brick, stone, etc. from the garbage with high efficiency. Egg tray making machine: it can turn waste paper into paper egg trays to pack eggs. Paper egg trays are widely used in the supermarket. In August, 2018, we had visited Malaysia and met many customers. In October, we hope to cooperate with more customers. Don’t miss the time: October 9 to October 14.